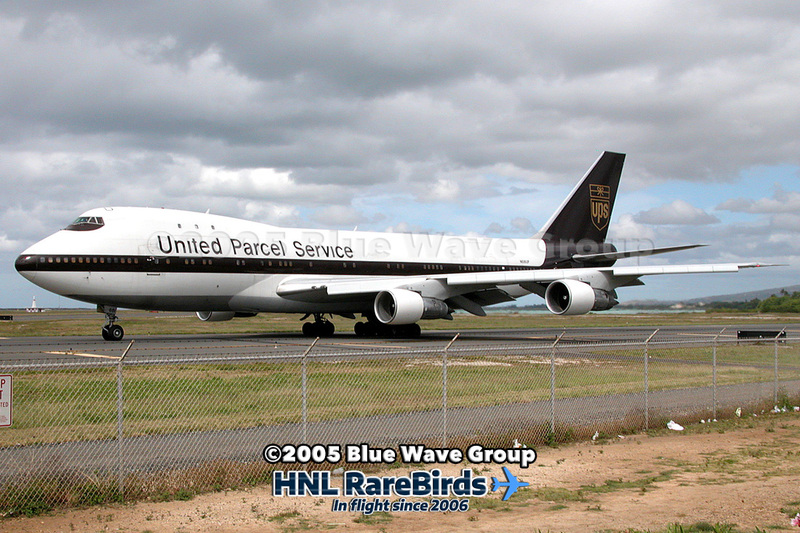 Our April edition of "HNL RareBirds Classic" goes back to 2005, and features UPS Airlines' 747-121SF, N681UP (c/n 19661, l/n 70) seen above taxiing on Taxiway RT. 19661 was originally delivered to Pan American World Airways in August 1970 as N771PA. During its time with Pan Am, it was converted to a freighter (1975), and named "Clipper Donald McKay". In February 1983, it was sold to Flying Tiger Line, re-registered as N819FT. When FedEx Express acquired Flying Tiger in 1989, it was transferred to the former's fleet as N628FE. 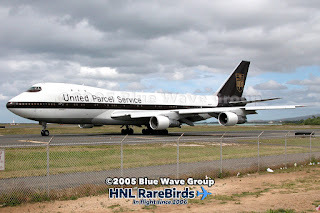 In May 1991, it was sold to UPS, and re-registered as N681UP, and flew with UPS until November 2007. Sadly, this 747 was scrapped in 2011.